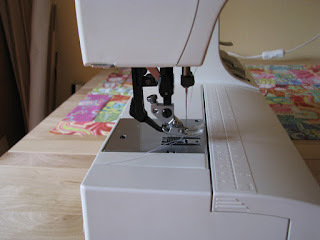 Lately I've been reading much about sewing garments in the blogs I follow daily. It's so enjoyable to read all about their adventures that I was totally in the mood to make something too. As it happens I discovered only recently, at the age of 53 no less, that knee length dresses don't work for me because I'm short. So when that eye opening moment finally occurred I immediately started to shop for some new dress patterns. 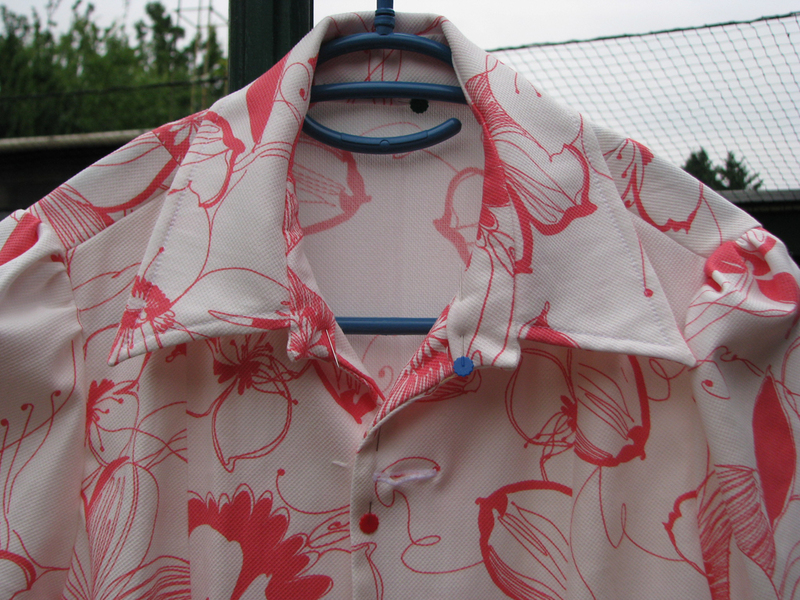 The design is a princess line with short sleeves, button down closure, and a collar with stand. The sleeves are gathered, but only at the the top. Needless to say they were very easy to sew, since there was no easing involved. Much to my delight the collar with stand went quite well too. I was a bit worried because I never made a collar with stand before. I've sewn one side of the collar stand to the dress with the sewing machine. The inner side, which is pinned in the photo, is going to be hand sewn. Now that I'm looking at the photo I'm not sure whether I should have sewn the inner stand to the dress, thus having the hand sewing hidden by the collar when I wear the dress. 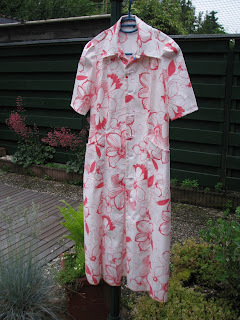 I'll keep it in mind for the next dress, and try how it looks when I do it the other way around. 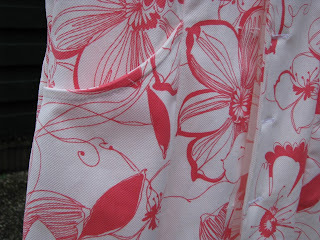 I love how the sleeves turned out, but I'm not happy with how the buttonholes turned out. I used the regular sewing thread to make them. Perhaps I should have used a thicker thread. But how to thread the machine then? A thicker upper thread and the regular sewing thread in the bobbin? I have no idea. 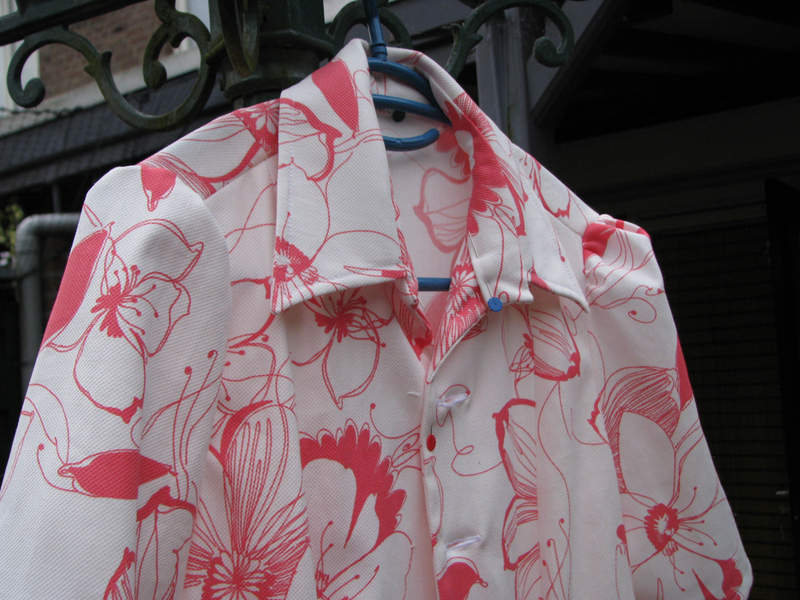 Luckily the buttonholes will be less noticeable once the buttons are sewn on. The pockets are a nice detail, I think. This is a fun project overall. And several first times are involved, like making buttonholes, and a collar with a stand.This fabric, however was so cheap that I bought 6 meters of it. It's incredible, but the fabric cost only 1 Euro per meter, and the width is 1.40 m.!!! No wonder I didn't fret about making mistakes. 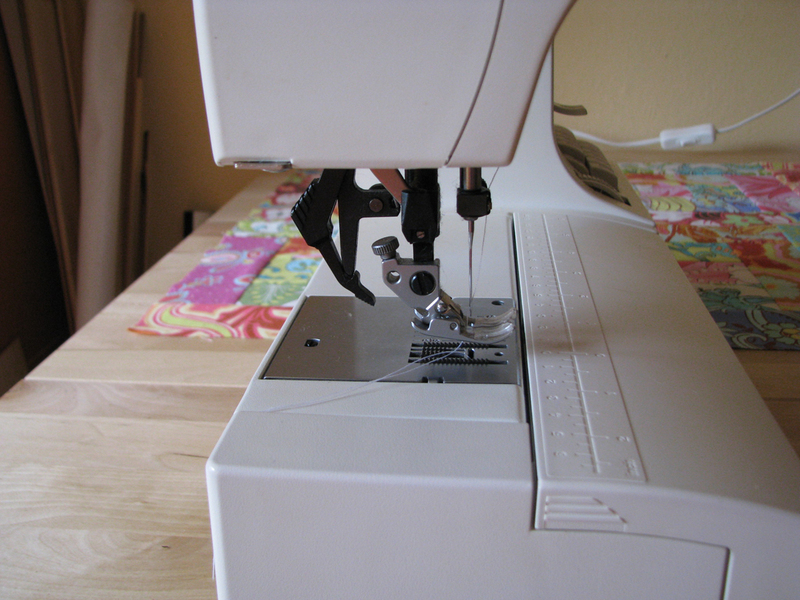 The dress is being sewn using the Pfaff and the Juki. Finally I have time to blog again. The past weeks I've been very busy, but not with fun stuff unfortunately. Anyway, this post is about my other machines. Apart from my two hand machines I own four more. 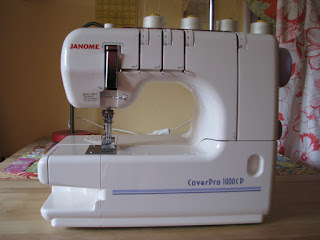 The 191B is the machine I learned to sew on. It was my Mum's, but she gave it to me when I showed some interest in learning to sew. No zigzag, strictly straight stitch, and still going strong. 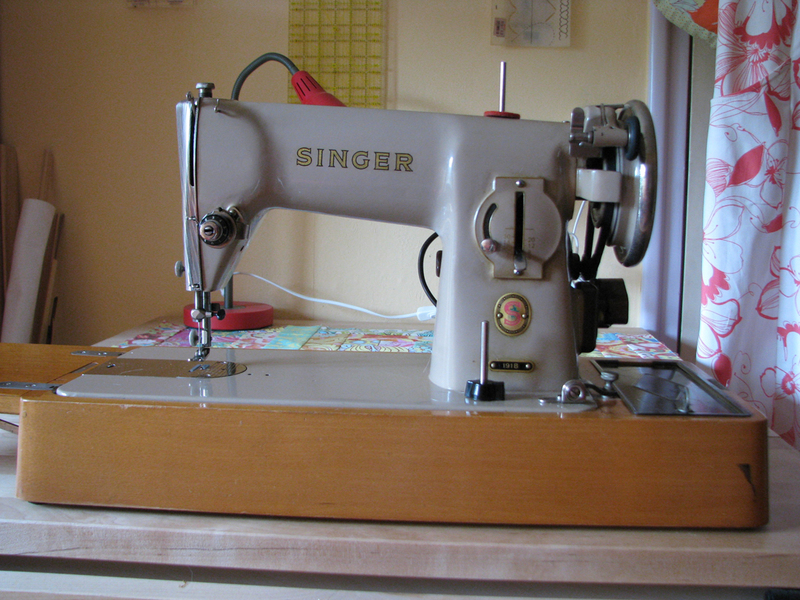 I have many fond memories of sewing on it, especially because my Mum was still alive the last time I used it, and some of the clothes I made on it I still have. 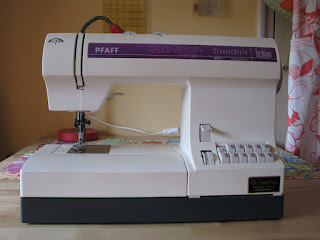 The Pfaff is my go to machine when I sew clothes. As you can see it's a mechanical machine. 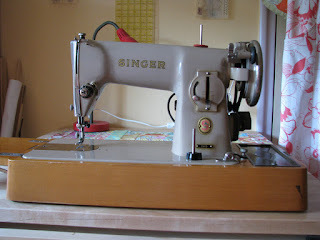 Apart from the money involved, I wasn't keen on computerized sewing machines. For one I wasn't sure to what extent the computer would automate things, leaving me with not enough control over it. And secondly the fuss of updating software, not to mention software issues. Anyway, I'm very pleased with this machine. I love that you can change the needle position. I often use that feature to get an accurate seam allowance. Then there's the built-in walking foot. I think it's brilliant. As a matter of fact it's the main reason for choosing a Pfaff in the first place. The Pfaff walking foot can be engaged or disengaged in a split second. Furthermore it's never in the way, and you can see exactly what you're doing at all times. The Janome CoverPro is very user friendly. It's very easy to thread. It produces very nice stitches. 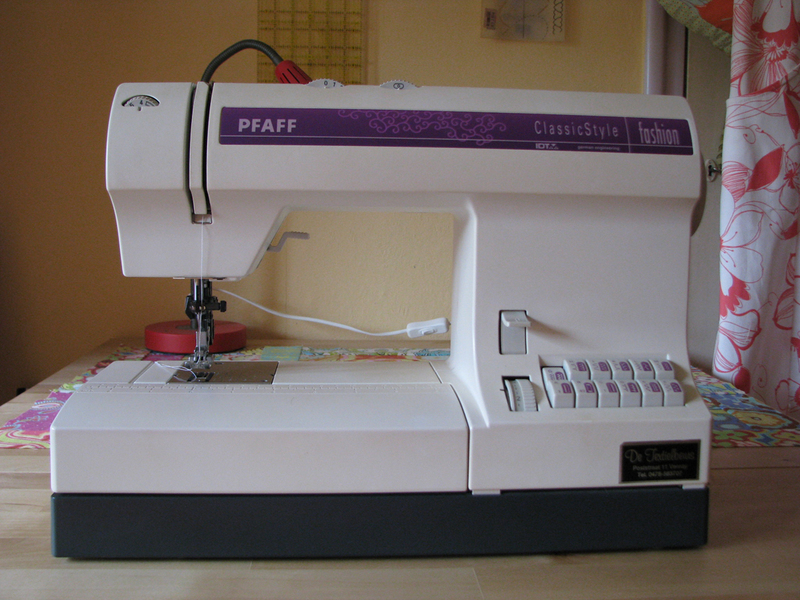 Due to lack of sewing projects I haven't used it much yet, regrettably, because it really is a fun machine to sew on. I've experimented with 4 and 3 threads. I believe you can also use it for chain stitching, but I've never tried yet. 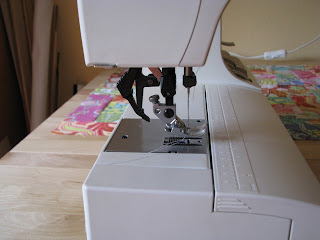 There are two ways to cut the threads when you finish your stitching. It depends on whether the stitching will be secured by another seam or whether you want to stop in the middle of the fabric if you're doing decorative stitching. This how to video on YouTube explains it better than I can. 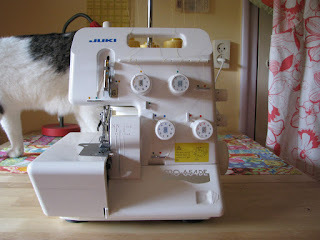 Last but certainly not least is my Juki Overlocker. My Juki was truly love at first sight. Or rather at first sound really. When I heard the sound of its motor the first time, that was it. I knew this was the one. It sounds ever so smooth, almost velvety if that makes sense. It's quite hard to describe. It's a joy to use. Threading it is relatively easy. It's a bit intimidating at first but the more you do it the easier it gets. This particular model, the MO-654, has a lever which makes it easier to thread the lower looper thread. The most basic Juki overlocker doesn't have that feature. I consider myself very fortunate. I own all the machines I ever desired. And I cherish all of them.